This seasons trends are all about simple, bold and fun colours, mixing and matching to creating striking on trend pieces that transcend across all forms from fashion to interiors. “Colours this season transcend cultural and gender norms. Vivid brights give way to excitement and optimism, though quiet stability prevails in this season’s palette.” Pantone. Many of this seasons colours have followed on from last years winter colours, such as Khaki, and Mustard yellow, however they have been given a new lease of life to bring them in to the summer months. Pairing bolder colours with more neutral colours is a great way to brighten a look, the contrasting colours adds great depth and detail, and neutrals are a must have for any season because they are timeless, and more importantly, go with anything! 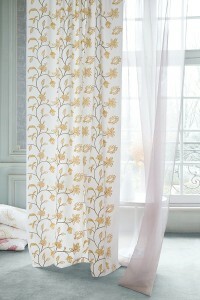 Some trends you will find tend to come round every year, especially summer. 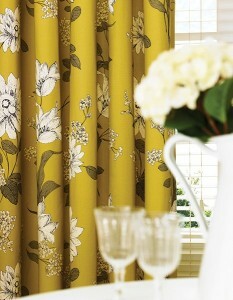 Spring/Summer seasons are always a great excuse to brighten up your interiors and bring the outside in. Floral patterns and vibrant colours are a must have during the hotter months, they make us feel that little bit closer to nature right from our living rooms, and even in typical British weather can bring some sunshine to a dull and rainy day. A fun alternative to floral patterns has to be introducing fruit or even animals in to the mix; patterns are always bold, so why not include something more entertaining to look at? Pineapples are a signature sign of summer, they remind of us tropical seas and the drinks that come with it, matching this with bright colours and you have a great look that’s going to last all summer long. Another trend that has blown up in the past few months is the metallic trend. It has become especially popular in the world of interiors with everyone wanting that luxurious metal finish in their homes. Copper gold is the stand out shade this season, from light fittings to table tops and vases, everyone is embracing this look. 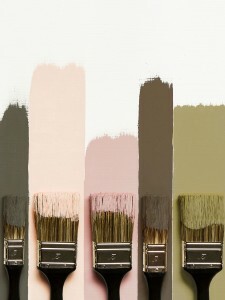 If you want to know what colours are going to be the biggest sellers this season, then Pantone is the place to look. 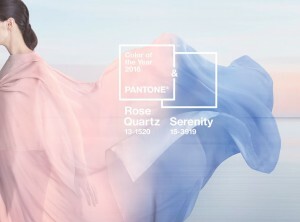 Along with their colours of the year, which this year is rose quartz and serenity, they also have colours of the season, and this season there are 10 different colours to look out for, as well as the colours of the year, there are also bold yellows, dark greens and neutral lilacs and browns. “Colours this season transport us to a happier, sunnier place where we feel free to express a wittier version of our real selves.” Leatrice Eiseman, Executive Director, Pantone Color Institutes. Having this incredible range of colours gives you the chance to really experiment and explore with fabrics, mixing and matching trimmings and accessories, to create fun and quirky interiors that your customer will love, and with such a diverse range of colours, they are guaranteed to last not just for the summer, but also all year long.